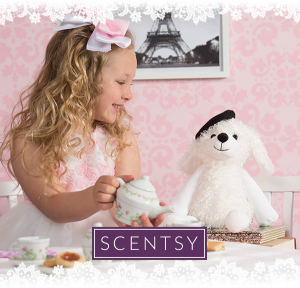 Imagine all the fun that will be had with our newest Pari the Poodle Scentsy Buddy! Take a trip to the City of Light and say bonjour to the newest Scentsy Buddy, Parí the Poodle — available starting April 21! A festive French beret adorns her springy white curls for a pup that’s both cuddly and chic! 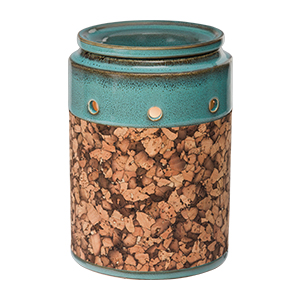 Perfect for the old-world office, or the relaxed farmhouse, the Cork Scentsy Warmer is a stylish artistic piece of ceramicstoneware. A beautiful turquoise reactive rustic glazed was used before being wrapped in a soft brown cork. 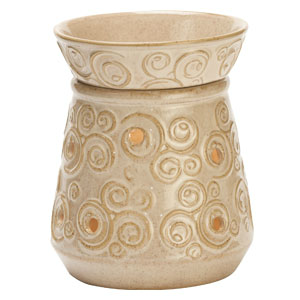 The Cork Scentsy Warmer is versatile and captures the old-world office style, or the charming farmhouse feel. Whatever look you’re going for, this is a great piece of artistic stoneware. Flip the switch on this electric candle warmer, add your favorite Scentsy Bar fragrance, and embrace the scent as the wax slowly melts. The peepholes around the base let out just enough soft light that add to the ambiance of the room. 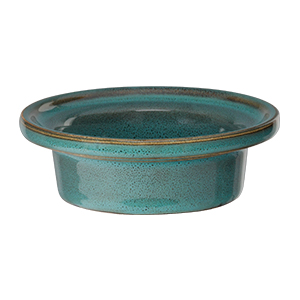 This warmer would make a great gift for Father’s Day. 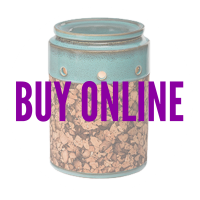 Scentsy Cork Warmer is 6″ tall and comes with 3 pieces, including an electric Scentsy warmer base, a matching warming dish for your scented wax, and a 25-watt light bulb. 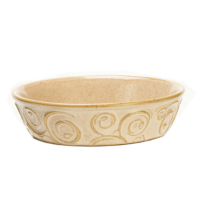 Don’t throw away your favorite Cork Scentsy Warmer because you need a replacement dish lid. When Scentsy wax needs to be changed, sometimes there are mishaps and dishes are dropped and broken. We understand that accidents happen. 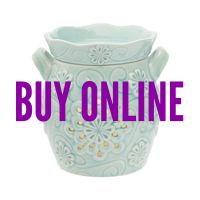 You can order a new Scentsy replacement dish lid online and have it direct shipped to your door. 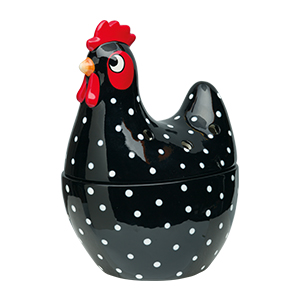 The Hokey Pokey Scentsy Warmer offers a hand-painted ceramic smooth finish with black, white polka dots, and red details. This playful electric candle warmer will add a fun element to your country kitchen. The Hokey Pokey Scentsy Warmer captures the playful, farm-like spirit. 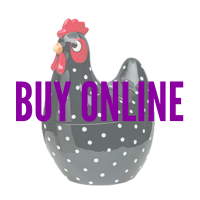 This fun decorative chicken is farm-fresh and will have your kitchen smelling delightful in no time. What! No time to make cookies? Add a few cubes of your favorite Scentsy Bar into the dish, and as it warms and melts, guests will think you’ve spent all day making delicious treats. This Scentsy Hokey Pokey Warmer is 7.5” tall and includes an electric base, a warming dish, and the finishing lid, which is the upper body & head portion. This electric candle is part of the Element Collection and uses a warming plate to gently melt the discretely hidden Scentsy wax. No Scentsy light bulb is needed with Hokey Pokey. The Whoot Scentsy Warmer is porcelain and etched with fine detail and will make the perfect addition to your home. 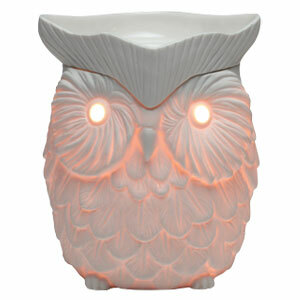 Pair with your favorite Scentsy wax melts, and whoooo wouldn’t love this owl electric candle warmer even more. Flip the switch and Whoot Scentsy Warmer will softly illuminate the room with his porcelain body. The details of Whoot’s feathers, and the glow of his eyes make him the perfect guardian of the room. The owl symbolizes wisdom and this wide-eyed owl is very wise. Whoot knows how to melt the perfect fragrance when you add 4-5 pieces of your favorite Scentsy Bar. Add a few squares of candle wax to the dish, and enjoy the ambiance of aromatherapy and relaxation. Whoot would make a great teacher gift, or gift for owl enthusiasts. Whoot Scentsy Warmer is just the right size at 6″ tall and comes with 3 pieces, including the Scentsy electric warmer base, Scentsy Whoot warming dish, and a 25-watt Scentsy light bulb. Baseball fans will flip their lids as they kick off another great season at Globe Life Park in Arlington ball field. Ranger baseball has officially begun as spectators take their seats, while fans at home proudly display their Scentsy Arlington Texas Baseball Warmer. 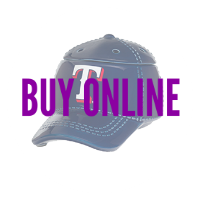 Celebrate three of your favorites when Arlington Texas, the Rangers team, and Scentsy collide. True to the insignia, with a bold white “T”, outlined with scarlet red, the ‘stitched” royal blue Scentsy Arlington Texas Baseball Warmer will have fans cheering on their favorite team, and their favorite scent. 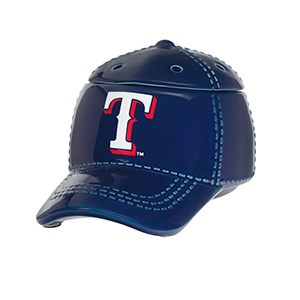 This Scentsy Arlington Texas Baseball Warmer is 4.5” tall and includes an electric base with the finishing royal blue lid. This electric candle is part of the Scentsy Professional Baseball Collection and uses a warming plate to gently melt the discretely hidden Scentsy Bar wax, as it fills the room with awesome fragrance. No Scentsy light bulb is needed. 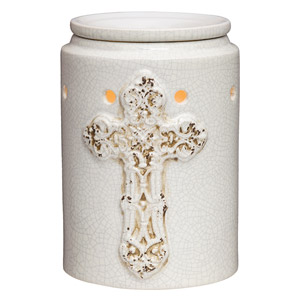 Add a decorative accent to your room with this beautiful Antique Cross Scentsy Warmer. The enduring symbols of faith, love, and hope, this wickless candle warmer is displayed with a vintage white crackle finish. 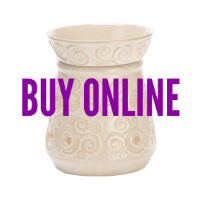 The Antique Cross Scentsy Warmer captures the spiritual nature from within, and will have you stepping into history with this old cathedral feel. Truly a faith-inspired design, the cross is detailed with beautiful craftsmanship. This decorative room accent is the perfect gift for religious occasions such as a First Communion, Baptism, Christening, or Wedding. Add a few cubes of your favorite Scentsy Bar into the dish and, as it warms and melts, the beauty of the fragrance will add to the dramatic effect of the special occasion. Antique Cross Scentsy Warmer is just the right size at 6″ tall and comes with 3 pieces, including the Scentsy electric warmer base, a matching Scentsy warming dish, and a 25-watt Scentsy light bulb. 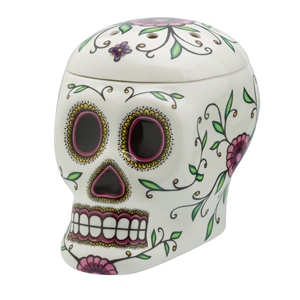 A beautiful artistic representation is found in the details of the sugar skull Calavera Scentsy Warmer. Celebrate the Mexican tradition of the Day of the Dead by honoring ancestors. A Calavera is an artistic representation of a human skull. They can be simple, or very detailed and beautiful. Some are made of sugar, known as sugar skulls, and some are made with clay or wood. 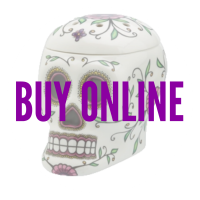 Our ceramic Calavera Scentsy Warmer is decorated with outlines of black, filled with floral patterns of pink and green, accented with yellow and a darker pink. The eyes and nose are colored black to give it a hollow look. When turned on, the base gives off a glow to remind you of this cultural celebration and Mexican tradition. Break off 4-5 cubes of your favorite Scentsy Bar, add it to the dish, turn your warmer on and enjoy! The Calavera Scentsy Warmer is 6″ tall and comes with 4 pieces, including an electric Scentsy warmer base, a warming dish for your scented wax, the beautiful decorated matching top, and a 20-watt Scentsy light bulb. 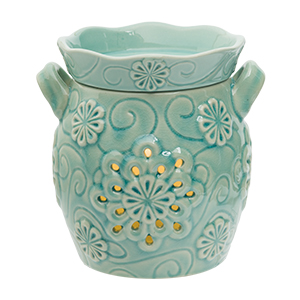 The beauty of winter comes through in this powder blue, beautifully embossed snow Flurry Scentsy Warmer. Add a few cubes of your favorite Scentsy wax to the fine crafted scalloped dish, and be whisked away into a wintery fairytale. Like a nighttime wintery storm, this vintage powdery blue stoneware candle warmer is gorgeous when the light shines through the center snowflake cutout. 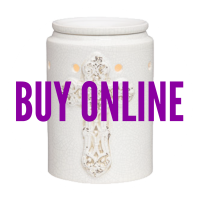 With playful embossed swirls, and small snowflake flowers, the creative details of this Flurry Scentsy Warmer will be the perfect decoration for a winter princess themed bedroom. Turn this electric candle warmer on, add your favorite Scentsy Bar, and fill the room with fragrance that will spark a fun, creative imagination. The Flurry Scentsy Warmer is 6″ tall and comes with 3 pieces, including an electric Scentsy warmer base, the scalloped warming dish for your scented wax, and a 25-watt Scentsy light bulb. 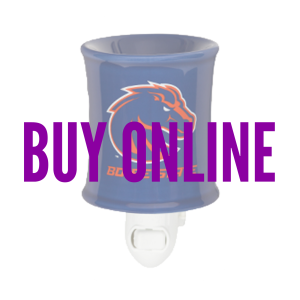 Show your Bronco spirit with our Boise State Scentsy Mini Warmer. Boise State is the largest university in the state of Idaho and home to Taco Bell Arena and Bronco Stadium. Fans love their “Blue and Orange”, so plug in your nightlight Mini Warmer and celebrate the next win with friends, family, and fellow fans. Nestled along the Boise River downtown, Boise State University is home to roughly 22,500 student fans. Broncos have been at the top of the Pac-12 Conference, NCAA Champions, and holding multiple conference titles. Have you seen the blue playing field! It’s game day and time to root for your favorite home team. 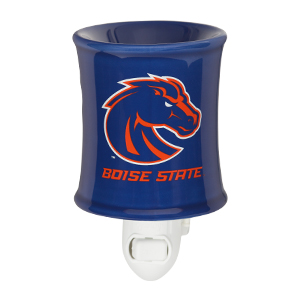 Celebrate victory and shine your light on success with the Boise State University Scentsy Mini Warmer. The BSU Scentsy Mini Warmer is part of our Collegiate Collection and uses a 15-watt Scentsy light bulb to gently melt a cube of your favorite Scentsy Bar.